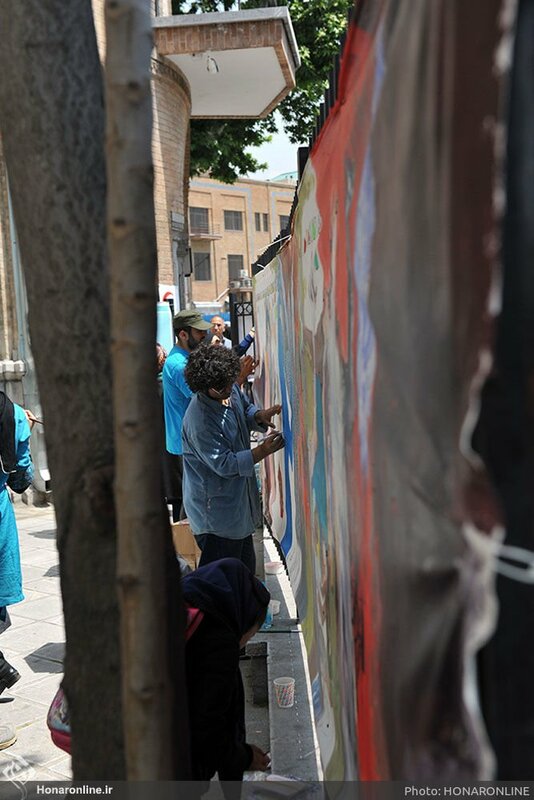 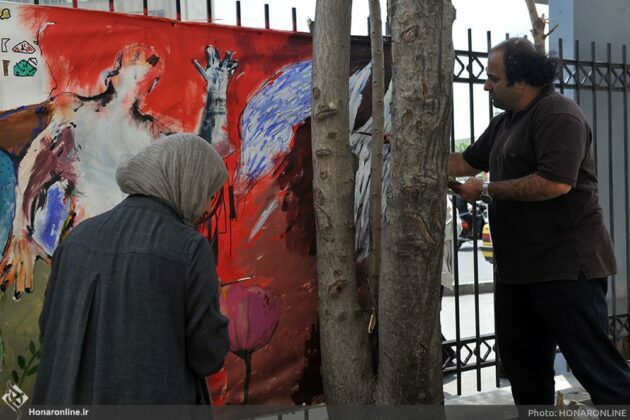 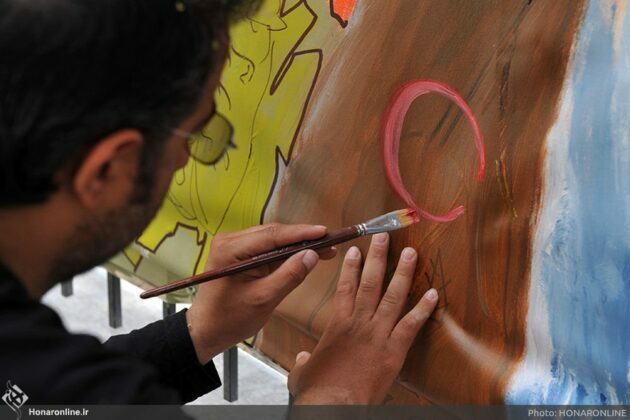 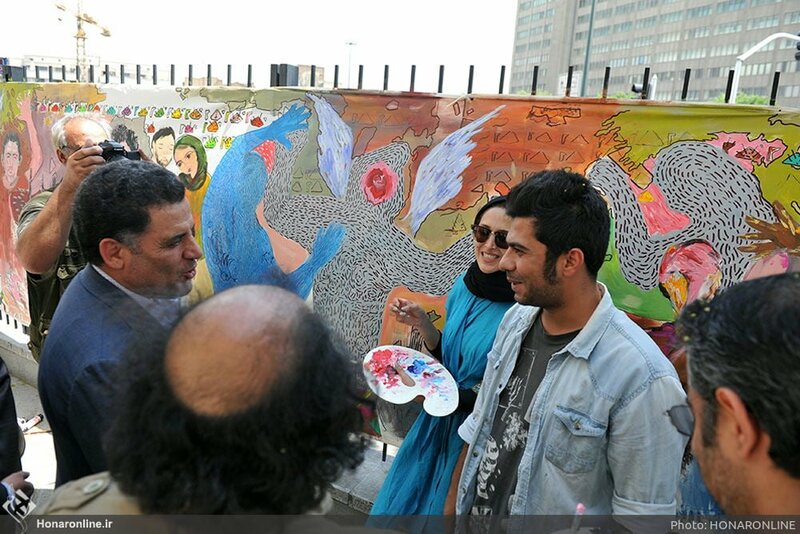 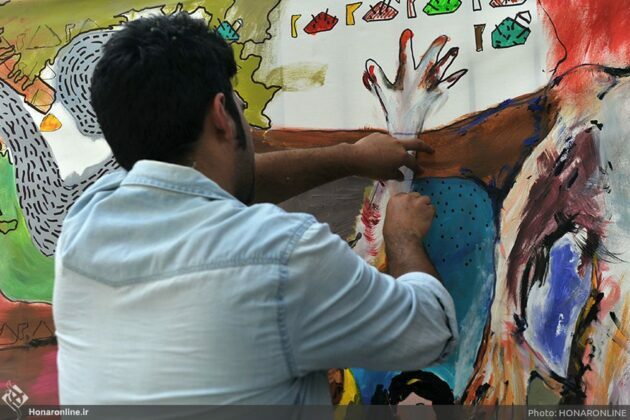 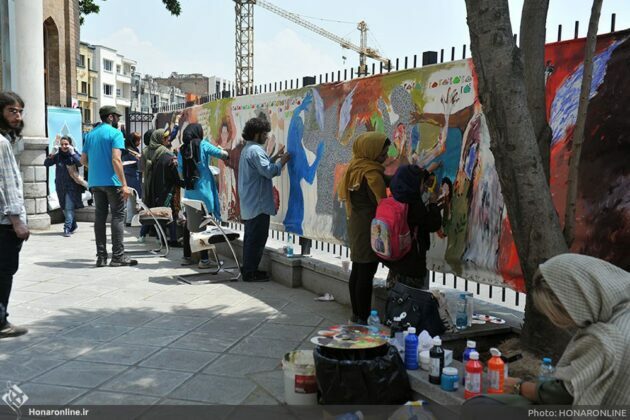 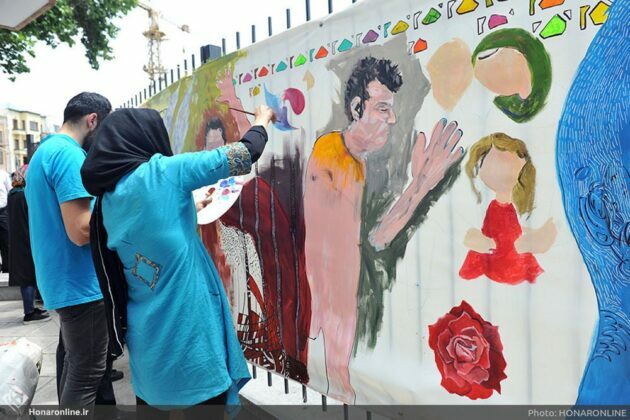 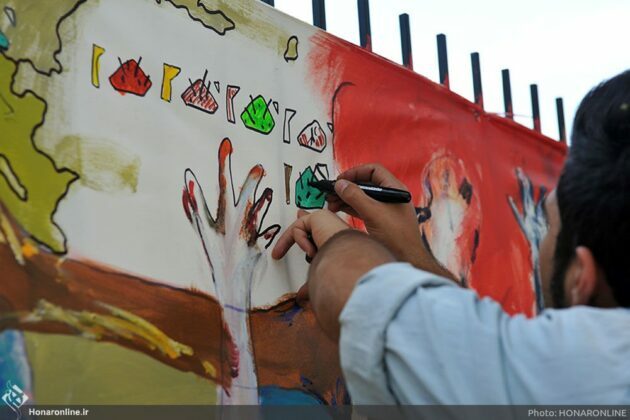 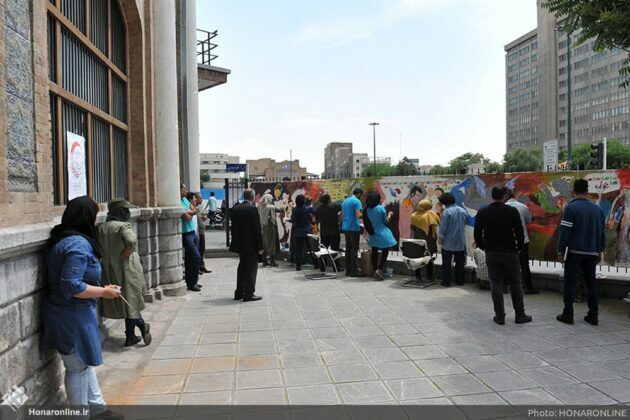 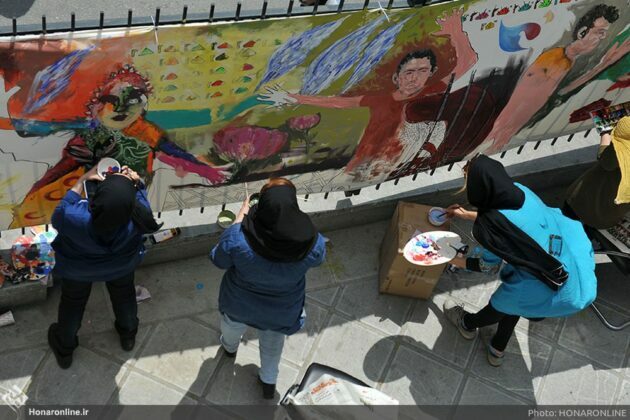 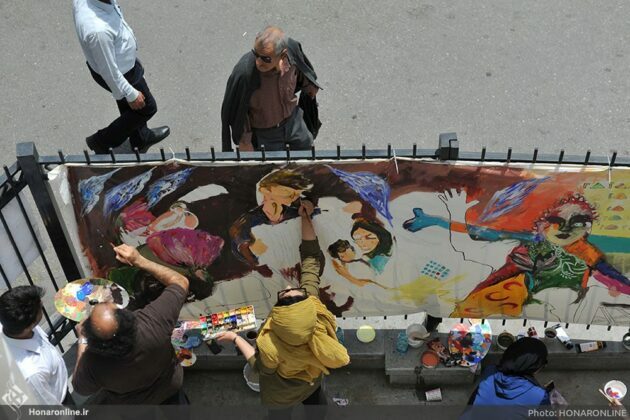 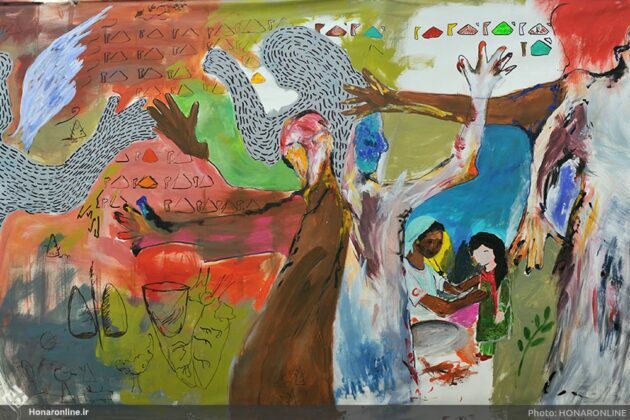 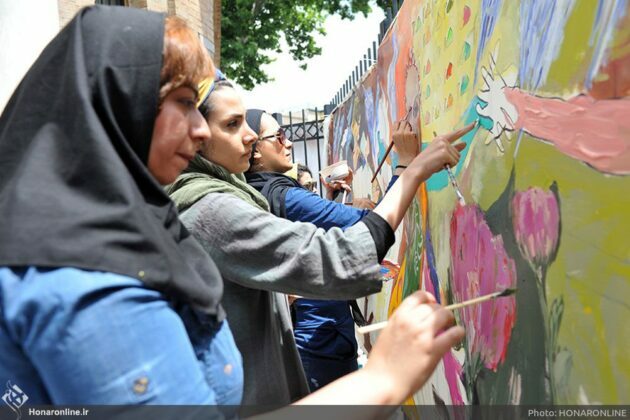 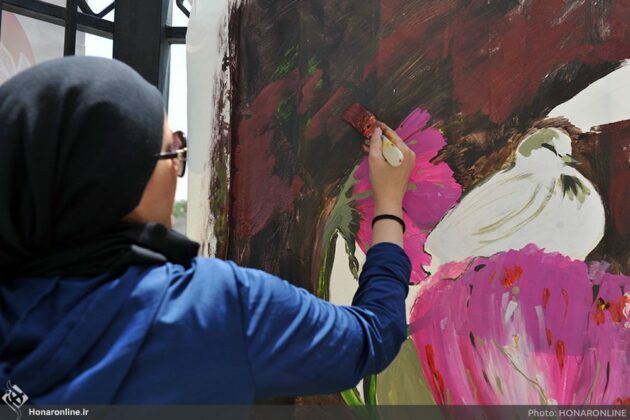 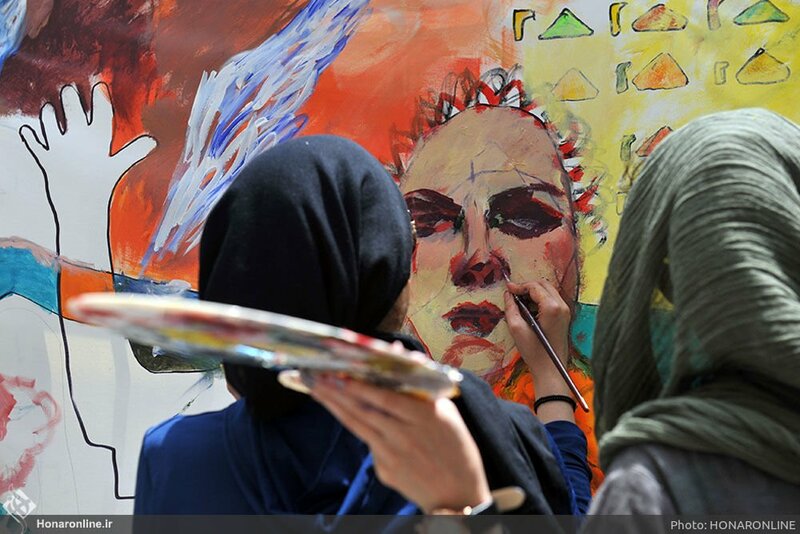 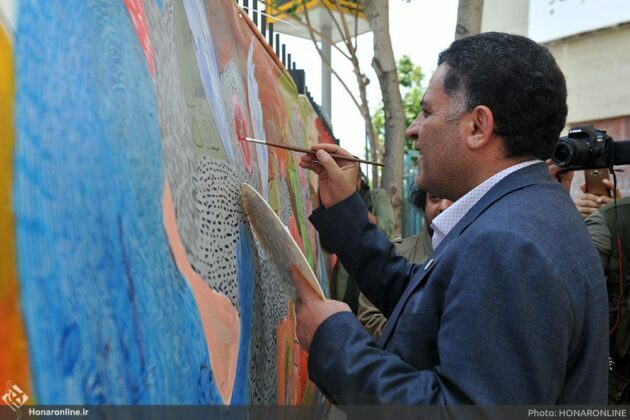 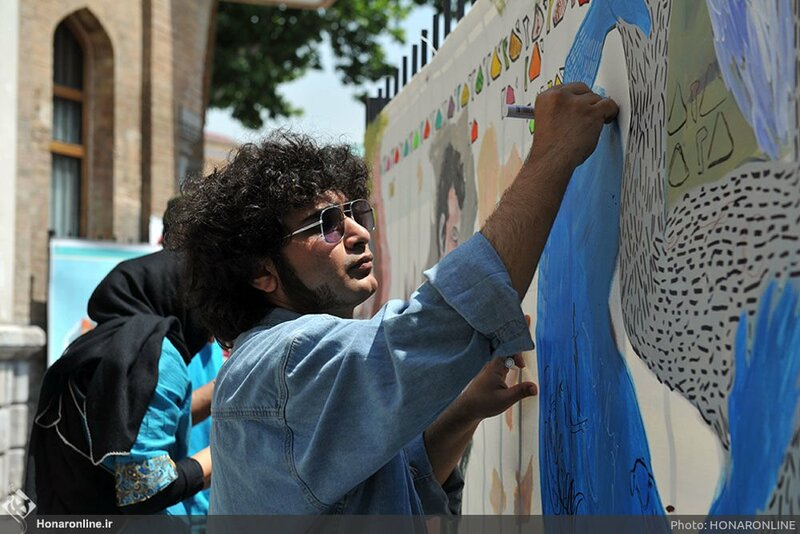 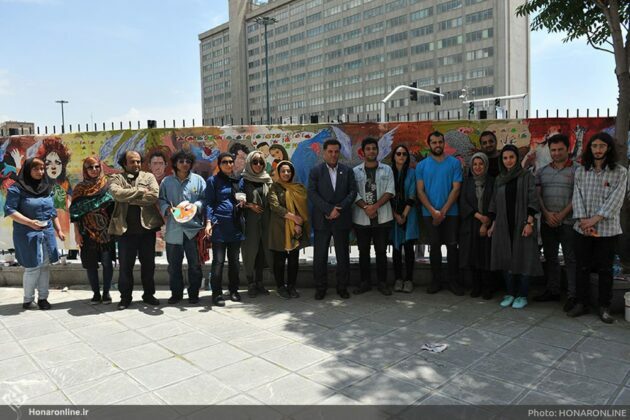 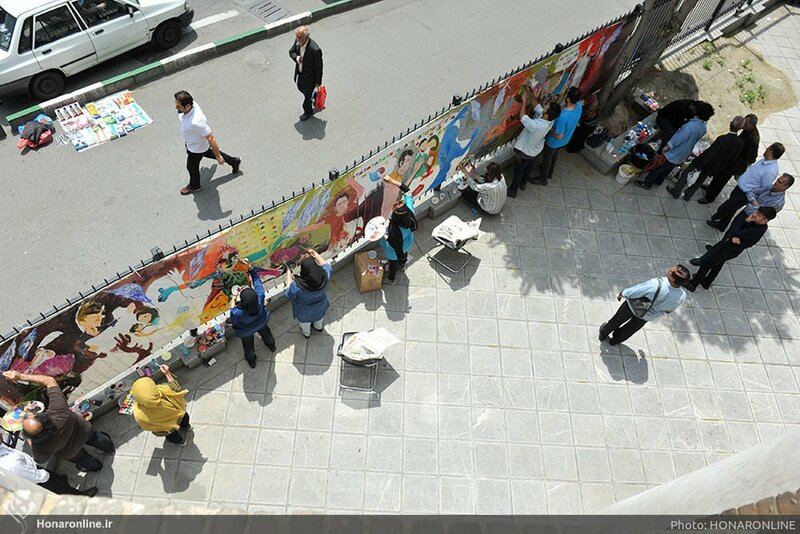 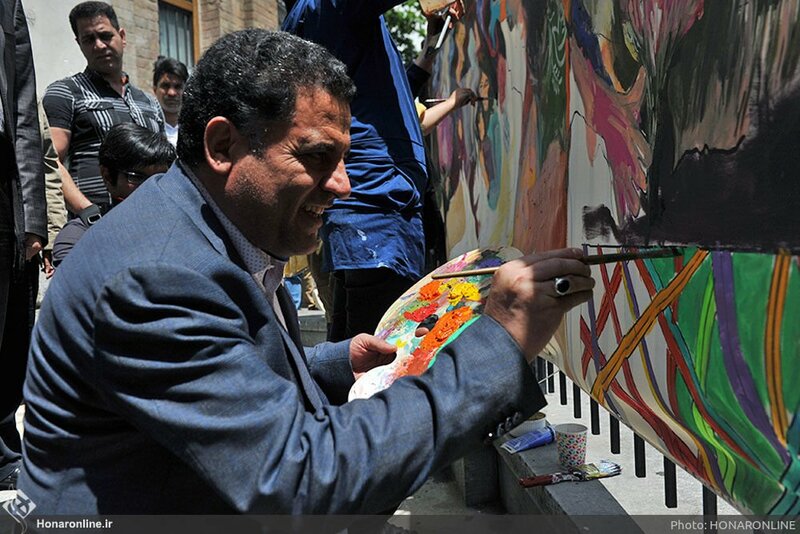 The huge artwork, which measures 10×1.5, has been painted by 15 artists during a workshop in Ali Akbar Sanati Museum in Tehran over the past week, a report by Honar Online said. 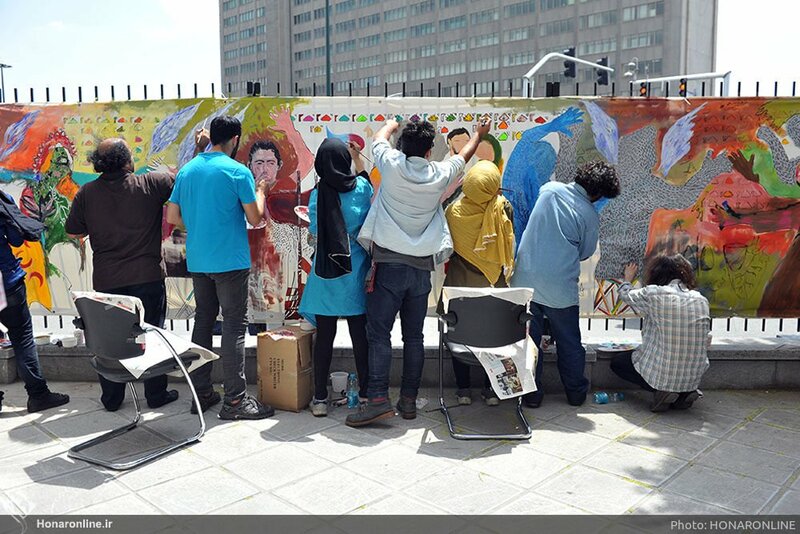 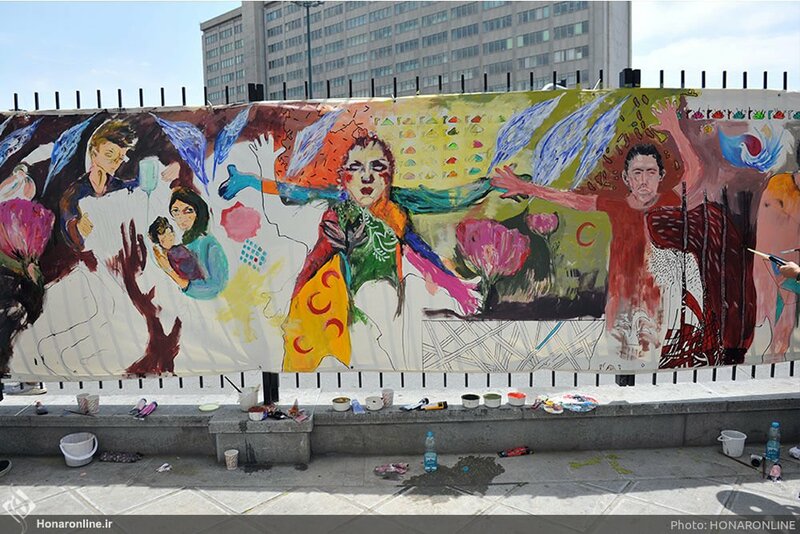 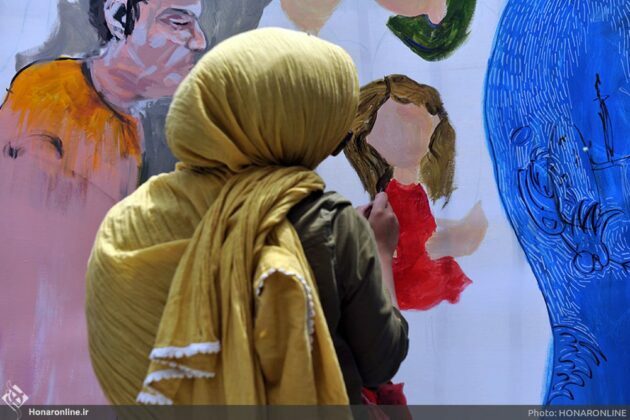 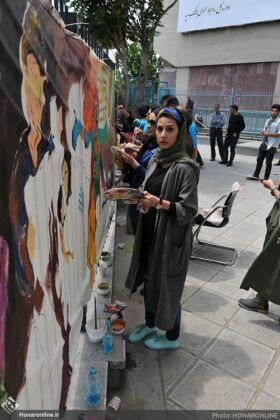 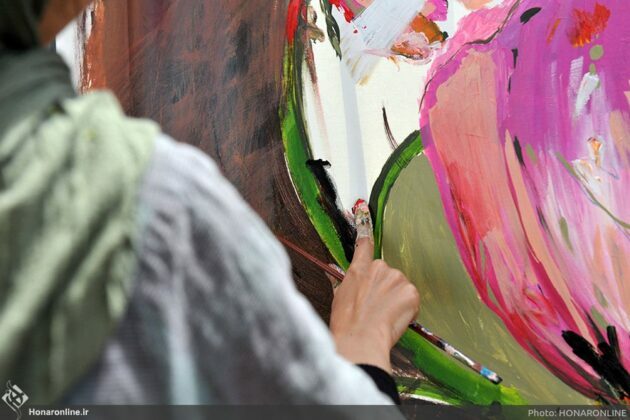 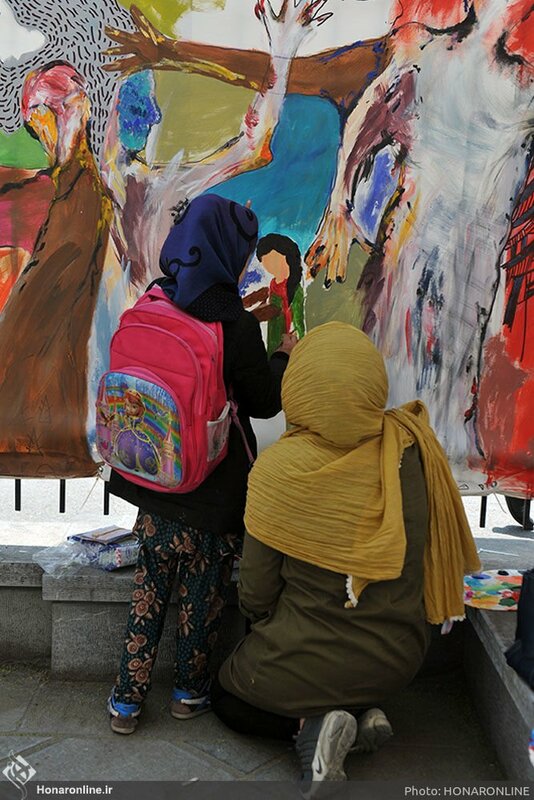 The director of the workshop, Azita Safavi, said that the central themes of the paintings are peace and friendship, and the group has tried to make the public familiar with art through this workshop. He added that many people visiting the museum also contributed to the painting. 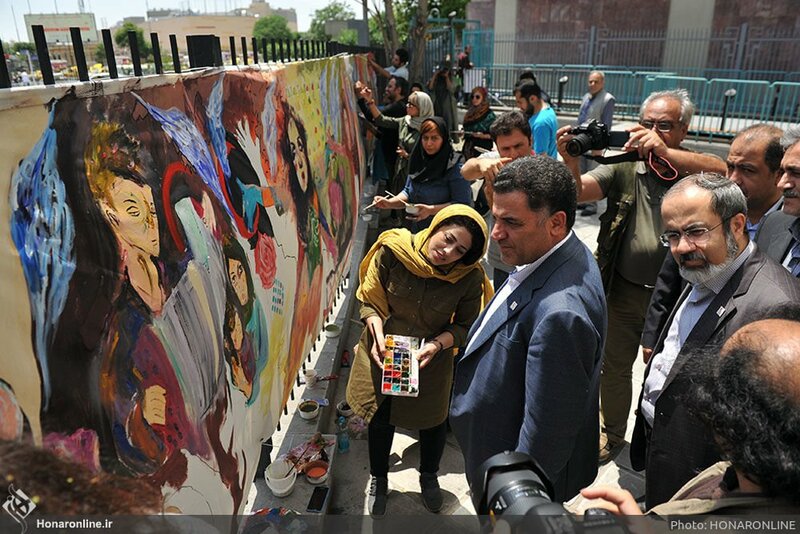 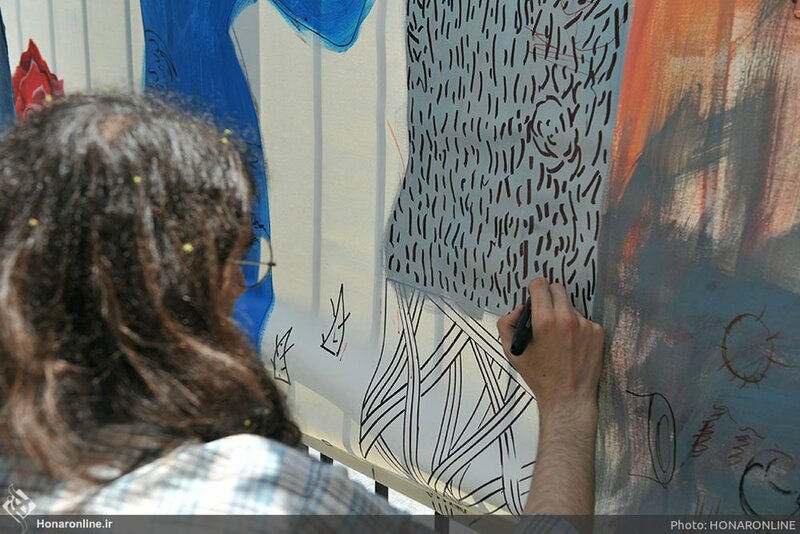 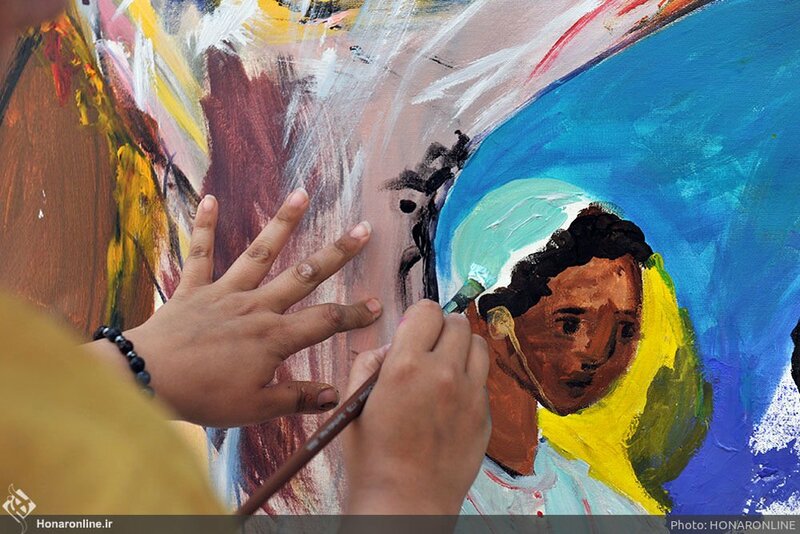 “We used the images of some people in creating the artwork,” he said, adding that their presence was really inspiring for the group of artists painting symbolic elements of peace and kindness. 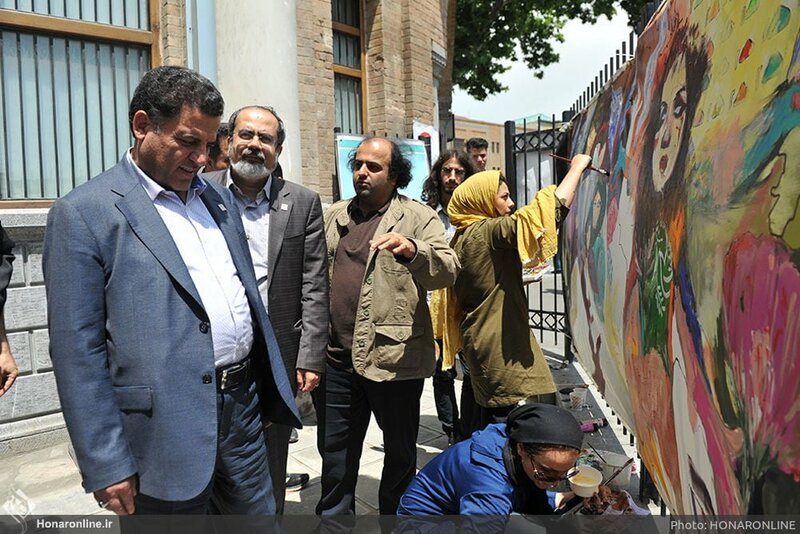 The paintings will be on display until May 11 at the Ali Akbar Sanati Museum, which is managed by the Iranian Red Crescent Society. 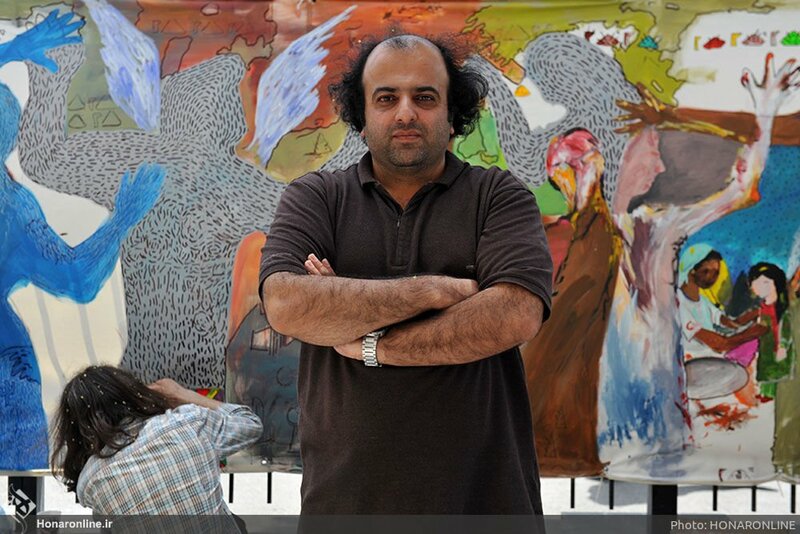 The museum is home to works by the distinguished Iranian sculptor and painter Ali Akbar Sanati.